In the autumn several traditional Fish Fairs are arranged in Finland. The biggest events take place in Helsinki, Turku and Tampere. 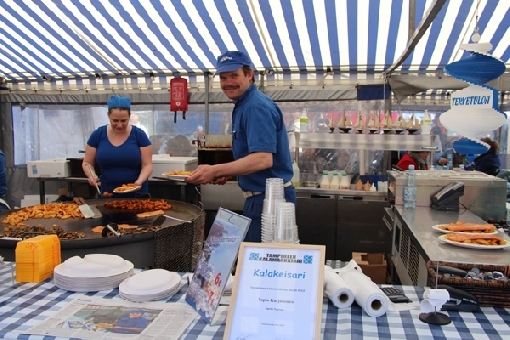 The Helsinki Baltic Herring Fair is held on 6–12 October in a maritime atmosphere. The fishers working on the Baltic Sea have once again brought the traditional salted herring to the Helsinki Market Square. By River Aurajoki Turku Herring Market is held on 24-27 October 2013. In the Laukontori Square, Tampere Fish Fair will take place on 27–29 September.